Re Usable Market Tote. This lovely lavender bag is made entirely of scrap fabrics. Sure, there is a grey side, but that lav is so pretty. I think it is a linen blend, Long handles for comfort and ease of use. Double inner pocket and sturdy build make this the perfect bag for the Farmer's Market, errands, outings and almost anything. 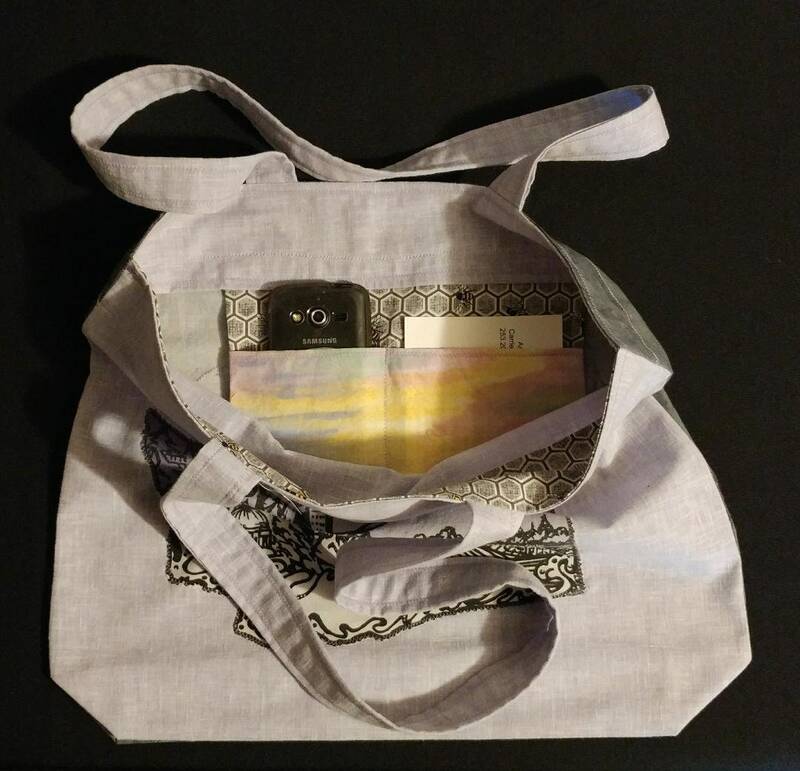 Great for having a bag for shopping in plastic bag ban areas. Like Tacoma! Bag is washable and ok to iron. 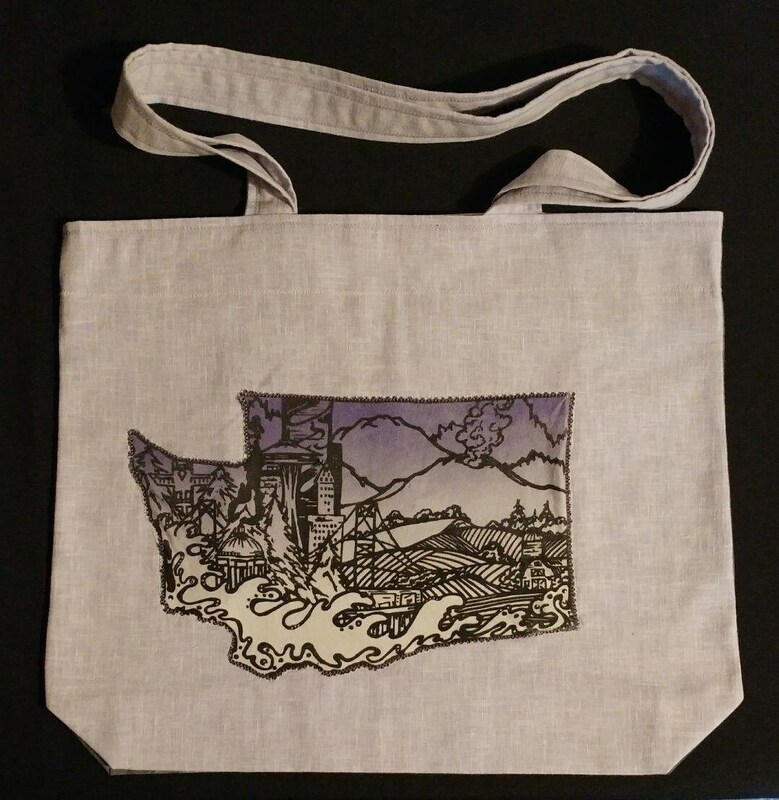 Lovely lavender side has a Washington State printed in purple. 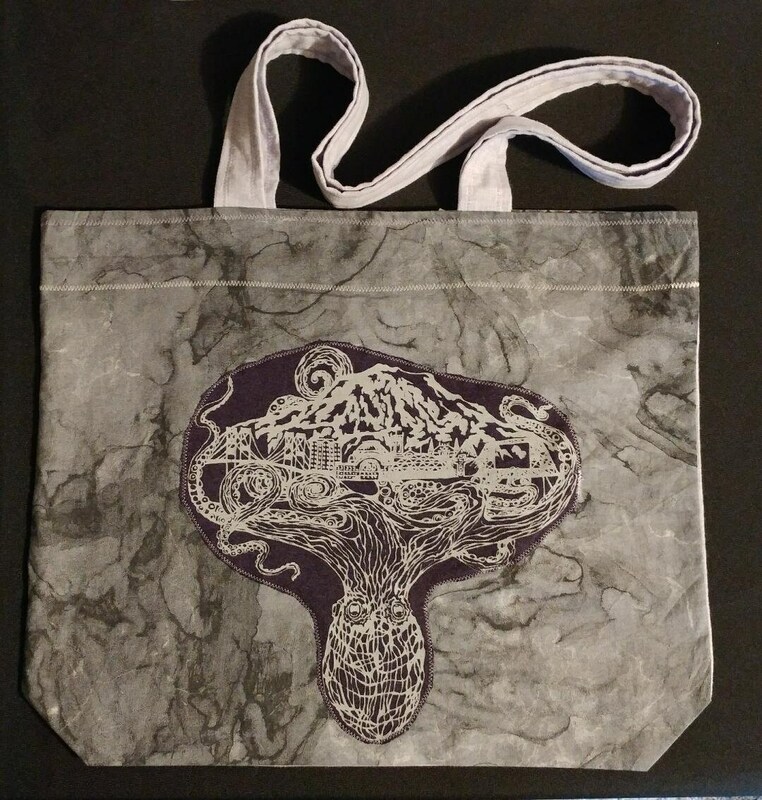 the Grey side has our Tacoma V.2 printed on purple with grey. Both color combos are not available on our shirts, so they are rather one of a kind prints all on their own!